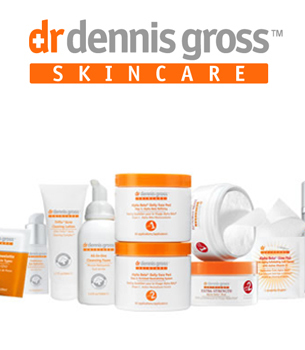 Dr. Dennis Gross Skincare is named for the Manhattan dermatologist who designed the line. Dr. Gross has devoted his professional life to the study of skin health and the reversal of sun damage. Dr. Gross has established himself as one of the premiere dermatologists and experts on skincare in the country. The Dr. Dennis Gross skincare line was originally introduced to the market in 2002 as MD Skincare, with a string of multi-purpose products designed to create a more beautiful complexion. 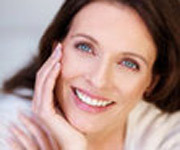 DrSkinSpa.com is an Authorized Retailer of Dr. Dennis Gross skincare. All Products are Guaranteed Authentic & Fresh. The Dr. Dennis Gross skincare line, previously referred to as MD Skincare, offers a wide variety of high-quality products to address a range of skincare needs. The primary focus of this skincare company is to produce potent formulas designed for a host of skincare needs that are available without a prescription. The company offers a wealth of experience, both in the field of dermatology and the creation of effective skincare formulas, to back up the promises of their products. Dr. Dennis Gross skincare is named for the Manhattan dermatologist who designed the line. Dr. Gross has devoted his professional life to the study of skin health and the reversal of sun damage. It wasn't long before Dr. Gross established himself as one of the premiere dermatologists and experts on skincare in the country. The Dr. Dennis Gross skincare line was originally introduced to the market in 2002 as MD Skincare, with a string of multi-tasking products designed to create a more beautiful complexion. Today, Dr. Dennis Gross skincare is one of the top lines for addressing the importance of gentle daily exfoliation, with its Alpha Beta daily face peel that is similar to the Alpha Beta Professional System used by aestheticians. Clients who use both the spa and home treatments together enjoy the best results, but the wild popularity of the at-home peels demonstrates the effectiveness this single product provides as well. Dr. Dennis Gross skincare products only use the finest ingredients in their formulas, creating the best possible results. Dr. Gross blends top botanicals, vitamins and antioxidants to enhance skin health to the fullest while producing a radiant complexion. The high concentration of ingredients enhances the penetration of the substances so skin can reap the full benefit of every formula. An exclusive Chelating Complex detoxifies skin from free radicals found in water, protecting the skin even as it is treated. The Dr. Dennis Gross skincare line includes a variety of cleansers, moisturizers and peels for every skin type and need. There is also an extensive line of sun protection formulas, as well as body care products. Some of their popular lines include the Alpha Beta and Hydra Pure products, which are potent in combating the hands of time. The biggest seller in the Dr. Dennis Gross skincare line is the Alpha Beta daily face peel, which is a two-step system for gently exfoliating the skin every day. The peel can be combined with the Hydra Pure line, such as the Firming Serum and Vitamin C Brightening Serum for stellar results on aging skin. Dr. Dennis Gross may be a relative newcomer to skincare products, but it has quickly gained popularity as one of the top high-end lines in the industry. These formulas work well on all types of skin, nourishing as they treat for a potent result without a prescription. The Dr. Dennis Gross line includes a variety of cleansers, moisturizers, and peels for every skin type and need. 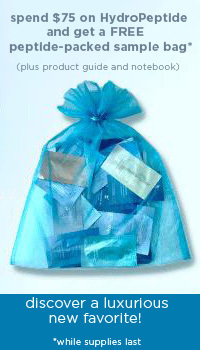 It includes an extensive line of sun protection formulas and body care products. Some of their other popular lines include the Alpha Beta and Hydra Pure products. The biggest seller in the Dr. Dennis Gross skincare line is the Alpha Beta daily face peel, a two-step system for gently exfoliating the skin every day. The peel can be combined with products from the Hydra Pure line, such as the Firming Serum and Vitamin C Brightening Serum, for improved results. Wonderful experience -- the seller had this product on my doorstep the morning after I placed the order! I couldn't believe it. The product was cheaper than if I'd bought it in any store and it was SO convenient. I will definitely purchase high-end skin care products from this seller again. Highest recommendation! Thanks so much. Loved the service and the product was in great shape when it arrived. It got to my home before the due schedule and I received free samples as well. It was the least expensive of other vendors selling the same product. Even the samples were of great quality.